I don’t know much about Anna Whelan Betts, but neither does anyone else. The Internet hasn’t been much help at all, so good luck with any searches you might undertake. I'm indebted to the Delaware Art Museum for her dates, and those of her younger sister, Ethel, below. She was from Philadelphia and a student of Howard Pyle at Drexel Institute, and there is a photo in Henry Pitz's great book "The Brandywine Tradition," (published in 1968 by Houghton Mifflin Company, Boston, copyright 1968 by Henry C. Pitz). 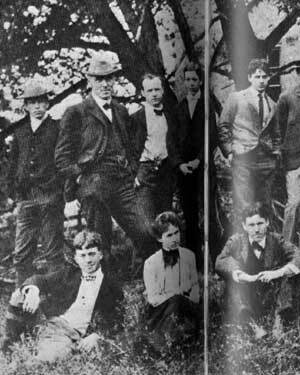 She is seated on the grass in front of Pyle and is the only young woman in this section of the group photo. The year was 1903. Her sister Ethel Betts, 1877-1959, was a fellow student who also went on to enjoy a successful career as an illustrator. Both women kept personal information to themselves so there is virtually nothing on record regarding dates of birth and death. However, I’m not an academic – as if you couldn’t tell – and I would rather just show you some of her work and let it go at that, even if we have no idea of her actual birth date. Assuming that she were 22 when the photo was taken, her birth year could have been 1881. 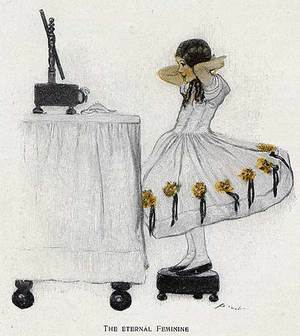 That would have made her in her early twenties when the following illustrations were done for Century Magazine. Anna could draw and she could paint, and she knew how to put together a picture. These are not sketches, they are paintings, however sweet they might seem in this jaded later age. 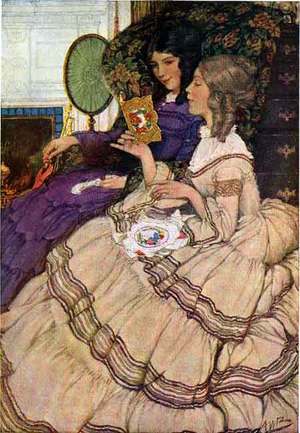 She worked well into the 1920s but her output of this later period doesn't compare with her earlier work shown here. 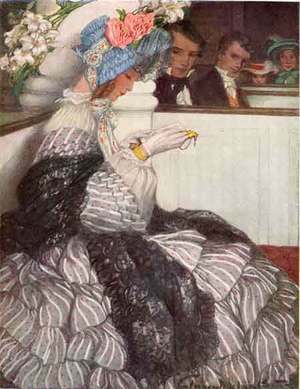 "The Easter Bonnet," from Century Magazine for April 1904. 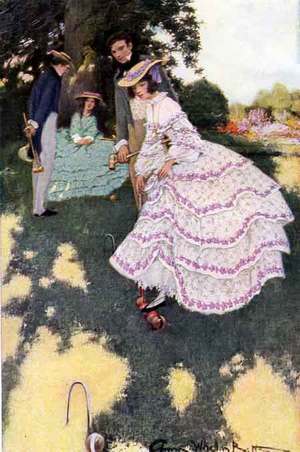 "The New Game," from Century Magazine for August 1904. 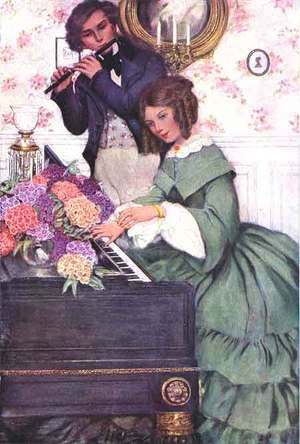 "The Duet," from Century Magazine for October 1904. "Christmas Callers," from Century Magazine for December 1904. 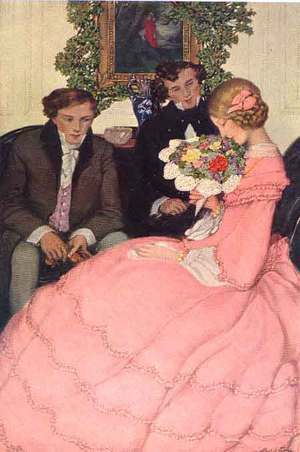 "The Valentine," from Century Magazine for February 1905. 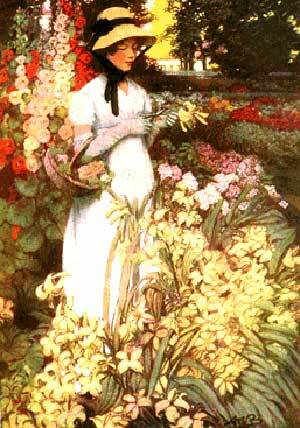 "Nelly Custis in the Mount Vernon Garden," from Century Magazine for May 1906. 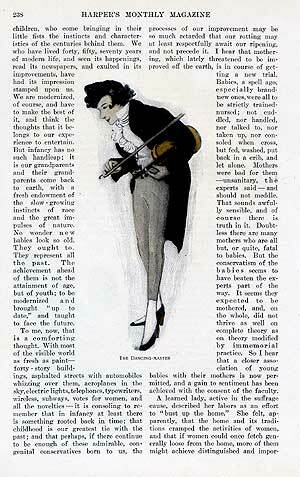 "The Dancing Master," a page from Harper's Monthly Magazine for January 1913. A close-up of the illustration. "The The Eternal Feminine," an inset illustration on a page from Harper's Monthly Magazine for December 1913.